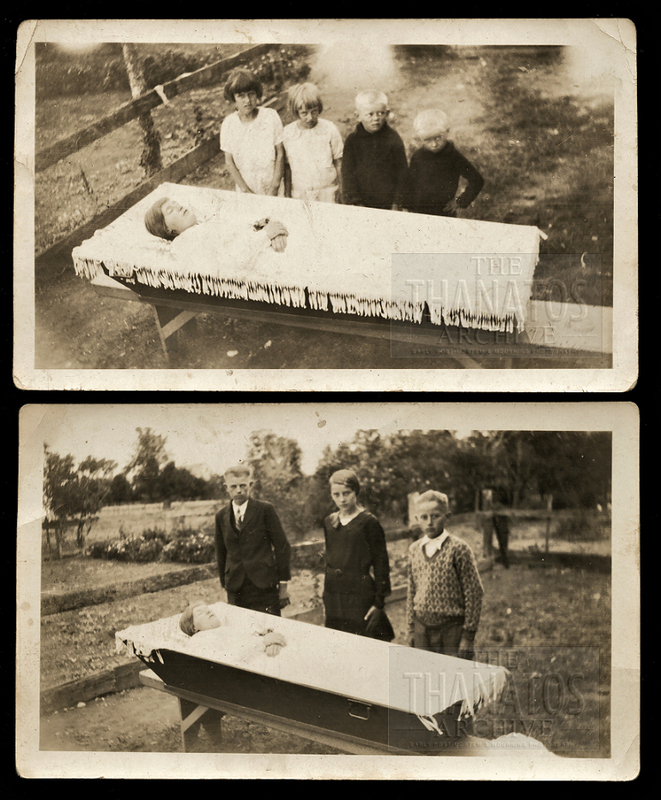 Two 1932 snapshot photos, children with their deceased mother. Mother’s name was Anna.. three of the children are identified as Phillip, Lin? and Dietrich.. surname and location unknown. Why is the fringe different? Not sure this is the same decedent, the garden plants also appear different. Maybe the deceased women were twins, one dying in the spring the other late summer? Interesting theory but I think they probably just tucked the fringe in for that bottom shot, for whatever reason. You can see some is still hanging over the edge along the bottom and top corner.